Sorry, this product is now sold out! Your eyes are not deceiving you, this IS the cover of the brand new issue of Rock n Roll Bride magazine, which is available to order from today! Now I may be totally biased, but isn't that the coolest wedding magazine cover image you've EVER seen!? Shot by the incredible Jenn Emerling, Chrissa and Jon's kawaii pastel wonderland wedding is featured inside! Here are eight reasons why I think you should be grabbing yourself a copy of this brand new issue right now, along with a few sneak peeks inside! There's nothing more annoying that religiously collecting your favourite magazine, only to go to your local shop to find them sold out, or even worse, to forget that the new issue was on sale and you missed it! If you subscribe we'll deliver your copy to your door every other month so this will never happen again! Remember the days when you'd get exciting mail like letters from your pen pal or little gifts from your grandma rather than just bills and junk? Each copy of Rock n Roll Bride magazine is delivered in a shiny pink, metallic envelope meaning as soon as it lands on your doormat you'll know it's time to grab a hot beverage and get stuck in! Getting a treat through your letterbox that's just for you is a feeling that can't be beaten. I don't know about you but having to pop to the shops can be a bit of a drag. In this age of internet shopping and next day delivery, who wants to traipse to the supermarket to pick up that thing you need? 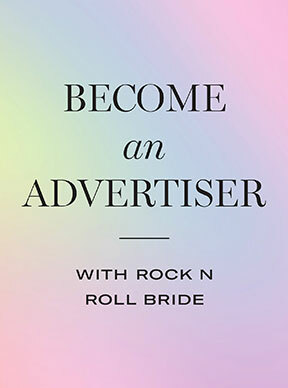 Subscribing or ordering Rock n Roll Bride magazine online means it'll come to YOU. Perfect! 4. Buying one online doesn't cost you any more! I'm not going to lie, it completely baffles me when people message to say they can't find a copy of the magazine, or that they're bummed that their newsagents has sold out. Er, order one online! If you're in the UK shipping is FREE too meaning it literally doesn't cost you any more. You have nothing to lose! Every day in the Rock n Roll Bride Facebook group I see brides asking each other for supplier recommendations. This is awesome of course (the group members are so helpful and friendly) but Rock n Roll Bride magazine is packed with the alternative suppliers that they are looking for! 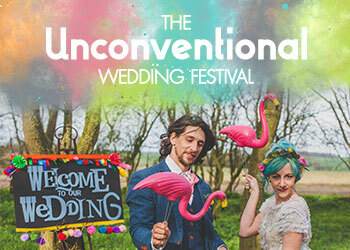 Pick up a copy and you'll open yourself up to a world of possibilities of incredible people to help you plan your quirky wedding! 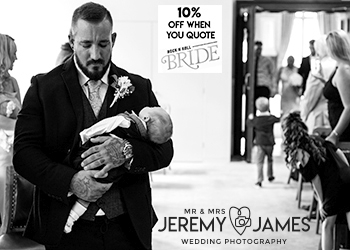 We purposely keep the weddings and main features in the magazine exclusive, meaning you won't find them featured on the blog before or afterwards. While we do feature some bonus photos from the editorial shoot that we physically can't fit in the spread (eight pages is just NOT ENOUGH SPACE!) we only do so after the issue has come off sale. Flicking through images on a blog or Facebook is great and all, but there is nothing quite like seeing something laid out in a beautiful and clever design. Our design team are so talented and their stunning work is what makes Rock n Roll Bride magazine such collector's items. The internet is undoubtedly amazing but there's still something to be said for the validity of print. You can't lay in the bath with your laptop (I mean you could, but it's not advisable) and snuggling on the sofa with your phone just isn't quite the same. A print magazine is a truly comforting antidote to the digital noise of being online 24/7. So there we have it. Viva la print! Are you ready to order your copy or treat yourself to a subscription? Well that's amazing news because issue 13 is available TODAY! Inside you'll find 11 exclusive real weddings, an incredible rainbow colour blocking fashion shoot, advice on dealing with difficult family dymanics, the story of one tattooed bride's incredible journey to self love and so much more! You can get just this issue using the Buy Now button below. But to get this and all future issues delivered to you simply hop over to our subscription page right now. We ship worldwide and UK delivery is still completely and utterly free! If you like to do things the old fashioned way, you can pick up your copy in WHSmiths, Sainsburys or selected local newsagents from March 2nd.